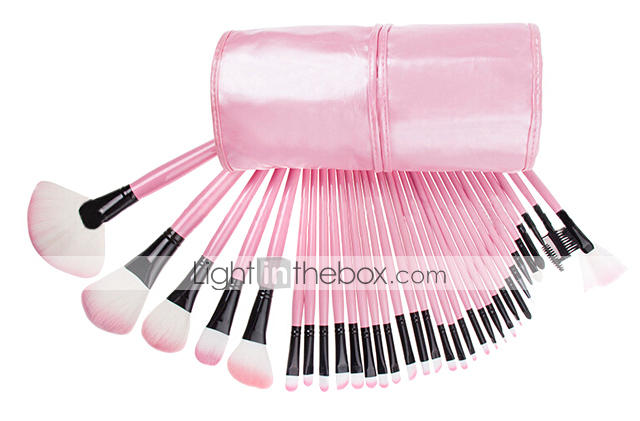 Q: How To Choose Makeup Brushes? A: Step 1: Choose the brush material When choosing your makeup brushes, it's important to factor in the material the brushes are made of. The makeup formulas you use will help you determine whether to choose natural, real hair or synthetic, fake hair usually made of acrylic or plastic. 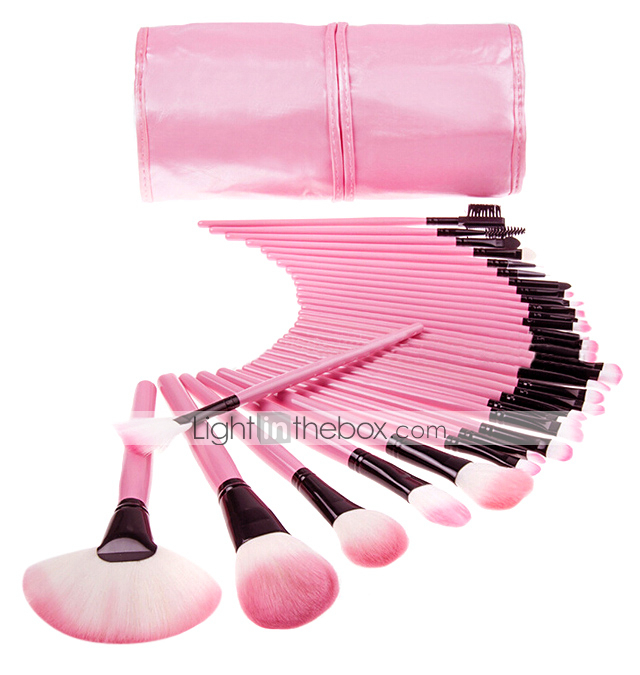 ;Natural brushes are better for dry products like blush and eyeshadow and synthetic brushes are best suited for cream or liquid products like concealer or foundation because they soak up less product than natural hair. Step 2: Choose the brush size and firmness So you know what material you want, and now it's time to find a brush that feels good on your face. 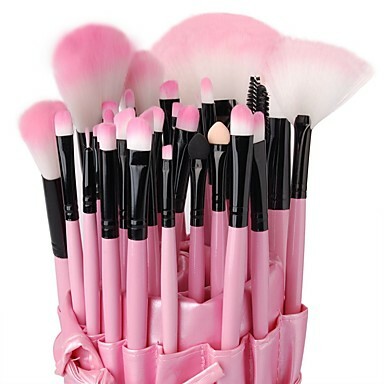 Makeup brushes are pricey, but are a worthwhile investment that can last a long time, so choose brushes that are comfortable on your face and non-irritating. 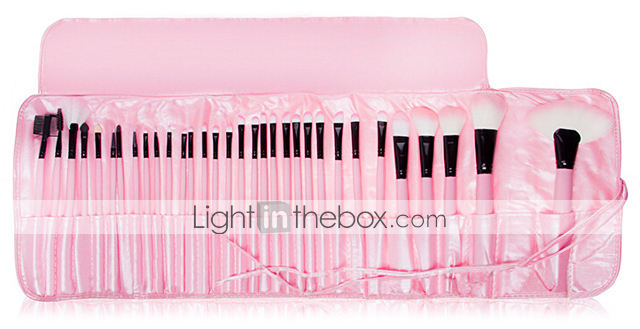 Q: How To Clean Your Makeup Brushes? Use a brush cleaner once a week Spray it "onto a Kleenex and sweep the brush back and forth to remove the makeup." A girl's bestie is used for applying lightly powder on the face. 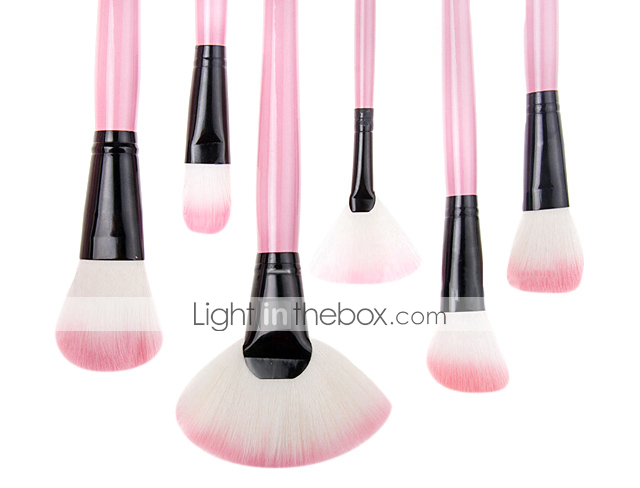 A powder brush uses less products, leaving the skin looking natural and beautiful. 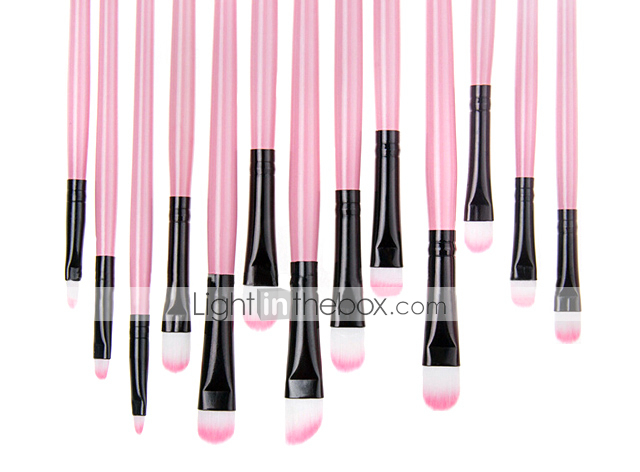 How to Use: Dip your brush in powder, then tap off excess powder. To apply, use a sweeping motion, brush lightly over your skin. Make sure to follow the natural contours of the face. Create a flawless airbrush finish covering all pores and blemishes. 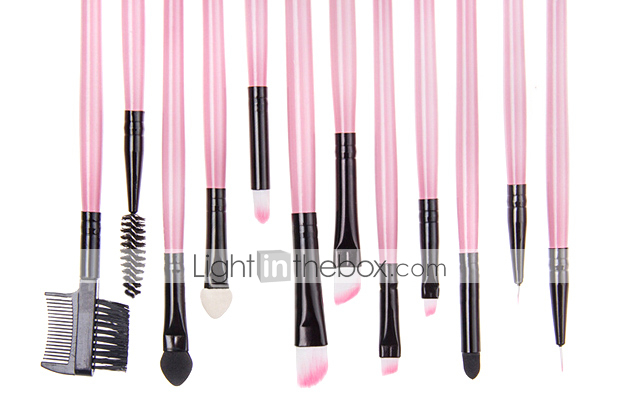 How to Use: Dip brush into foundation and buff onto skin in circular motion. Always a good idea to start on the cheek bones and blend toward the hairline. 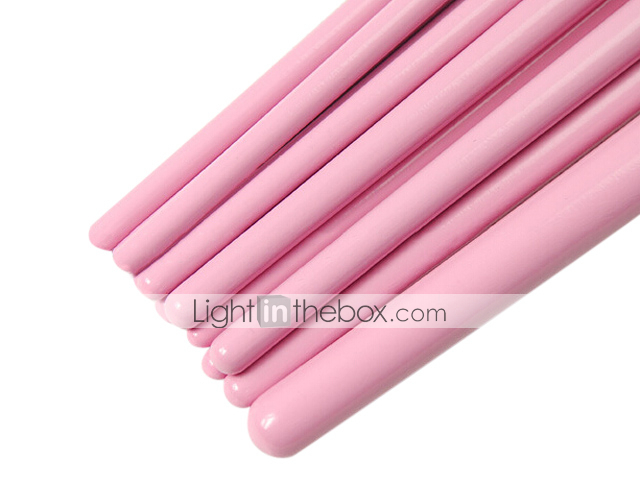 A padded shaped applicator of soft elastic material made for the delicate eye area. 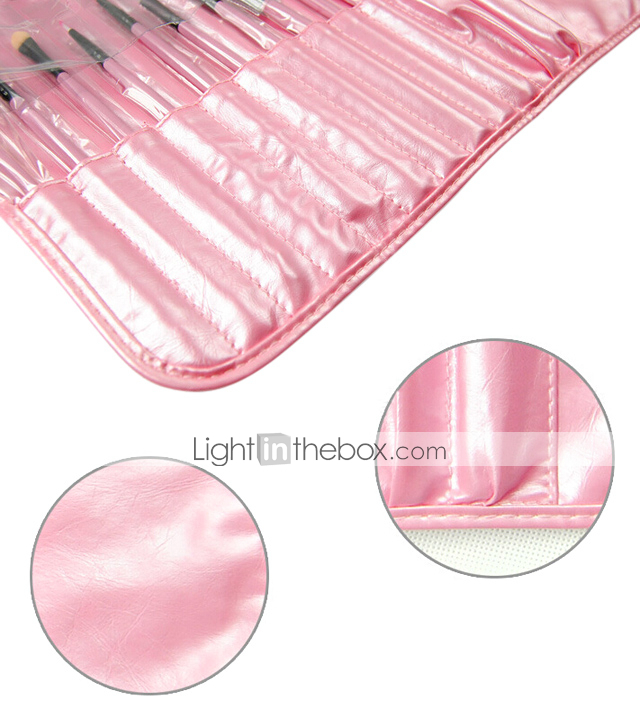 Perfect for easily applying and blending eye shadow. 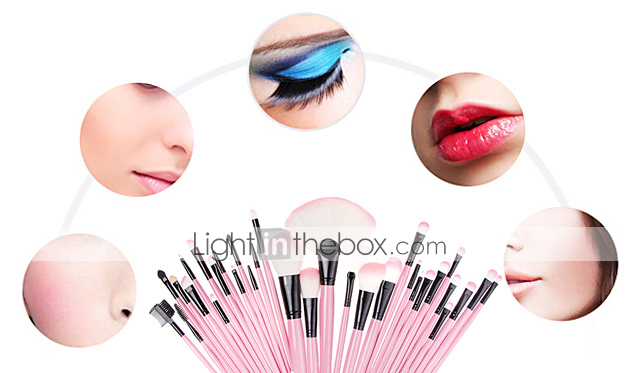 How to Use: Add color to the sponge, tap excess powder, then apply eye shadow and blend into the eyelid area.